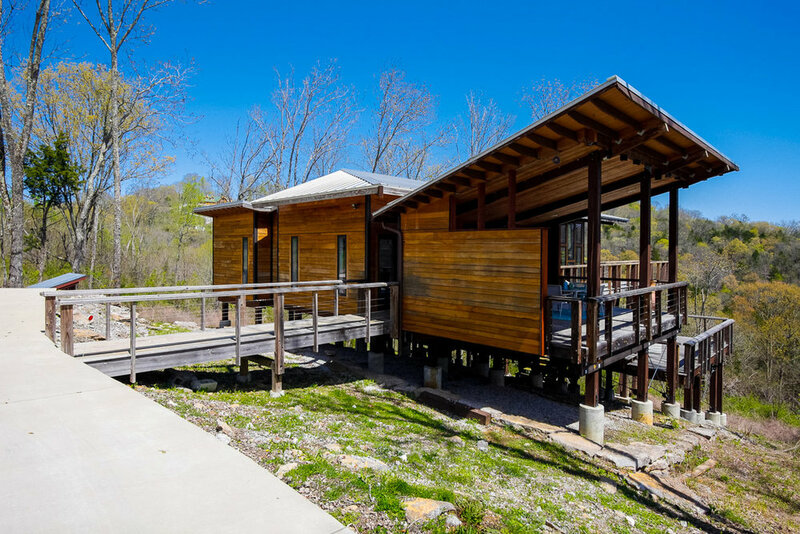 Center Hill Residence was designed as a second home for a family of five with the intention of a place to get away from their professional careers in Nashville and focus on their family. The house is intentionally small, but with various spaces for group activities and individual quiet spaces. The family areas face the south sky for daylight and warmth on winter afternoons while the bedrooms are on the north side providing a thermal and visual buffer to the neighboring houses. 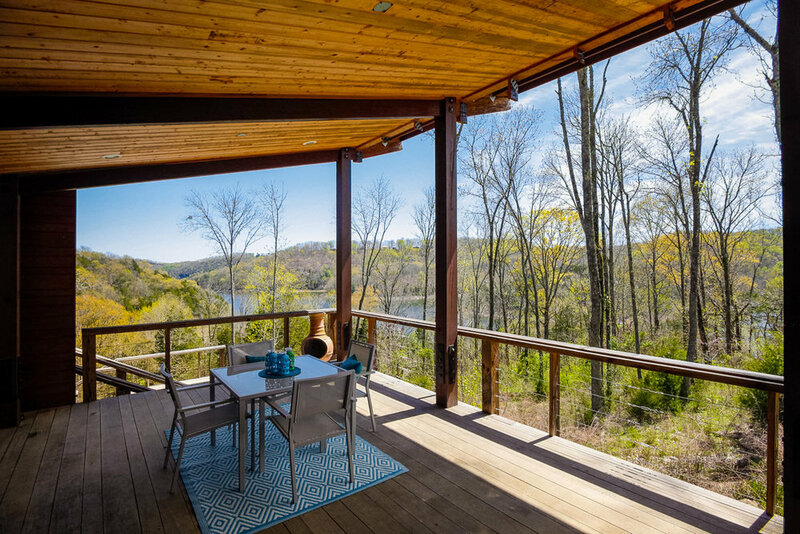 Built on a steep slope overlooking Center Hill Lake, large screen porches and decks expand the useable space of the house and encourage outdoor activity.